Not many vehicles are able to provide the variety that is available with a minibus; they are frequently used as the favoured mode of transport for school trips, airport transfers, corporate events, weddings, birthdays and nights out, to name but a few. Minibuses range in size from 6- 24 seats and can be hired across many different timescales. 8 seat minibus hire is one of the most widely chosen vehicles amongst vehicle rentals and gives passengers the space of a larger vehicle whilst the driver can benefit from car-like handling. 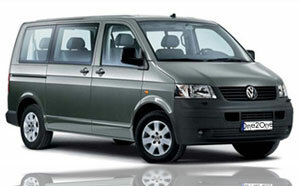 8 seat minibuses are generally used over shorter trips as they do not have a large luggage capacity although if the group is carrying a small amount of belongings or luggage it can be transferred by alternative methods, an 8 seater provides the comfort to be suitable for long distance travel. There is more to consider when opting for a self-drive vehicle than when hiring a minibus with driver. 8 seat minibuses can be driven by anyone that holds a car licence; most companies however will have restrictions in place. The minimum age that most companies set in place for 8 seat minibus hire is 21, other companies may ask for a minimum age of 23 or 25 and above. The upper age limit is generally 70 but a minority of companies may allow drivers up to 75. To drive a self-drive minibus you will be required to have insurance, in the majority of cases this is provided by the rental company although some will require drivers to arrange their own insurance. Breakdown cover is not essential but is definitely something that gives peace of mind. All companies should supply you with 24 hour breakdown cover. A mileage allowance is also put in place by companies; some are able to provide unlimited mileage whereas others will provide an allowance, which if exceeded will incur a charge per mile. The former is a good choice is you plan on using the minibus over a longer period of time and travelling long distances. When shopping around for quotes regarding 8 seat minibus hire you should ensure that the price you are given is the one that you pay. A quote should include VAT, breakdown cover, insurance and mileage. Charging these as extras can significantly increase the price of hire. Hiring an 8 seat minibus with a driver does not provide any of the complications or need any of the requirements found with self-drive hire. Hiring with a driver is all about finding the best priced hire along with the best service. Using websites such as travelsupermarket.com and coachbroker.co.uk will help to find the best quotes from leading companies across the based on your travel preferences. When searching for 8 seat minibus hire you should ensure that no booking or administrative fees are applied to the price of hire, these fees can increase the price of the original quote.